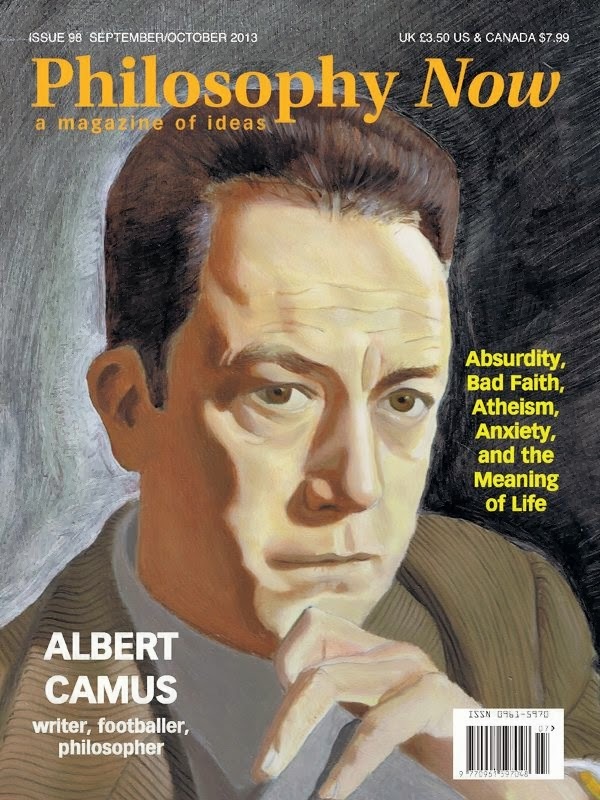 "The Master of the Absurd Turns 100"
November 2013 marks the centennial of the birth of Albert Camus. A native of French Algeria, Camus became an influential wartime journalist before embarking on a creative writing career. He would become a titan of French literature and a leading voice of the existentialist philosophy that dominated the post-WWII intellectual climate in France. Alba Amoia says in her biography that Camus became “the moral conscience of his generation.” Ironically, this spokesman for the absurdity of the human condition came across as a pretty regular guy; in fact, he possessed an easy charm, excelling at endeavors social, athletic or literary. At age 46, when writers often reach the apex of their powers, he died in a car wreck. An Italian newspaper once claimed that the fatal crash was part of a Soviet plot, but Camus himself would likely say that his abrupt death was a random event – one of many in a world without any inherent meaning. Camus’ father perished in 1914 in the Battle of the Marne, shortly after being drafted into the Algerian-based French infantry corps. This created further hardship for young Camus’ mother, a “passive and seemingly indifferent woman” who spent an inordinate amount of time staring at the floor. She was for the most part deaf, and had a speech impediment. Her world of virtual silence was consolidated by her work as a cleaning woman. While attending the local boys’ school, Albert received encouragement from one of his more discerning teachers, who could see the disadvantaged boy’s exceptional intelligence. He helped the apt pupil resist his grandmother’s demands that he renounce education and head to work, and aided young Albert in obtaining a scholarship to secondary school. During his time there, he grew obsessed with soccer, at which he excelled as a goalkeeper. However, he was forced to quit the sport in 1930, when symptoms surfaced of the tuberculosis that was to afflict him for the remainder of his days. Perhaps worse than being relegated to the role of lifelong spectator were the ongoing effects of this condition: fatigue, drenching perspiration, and the spitting of blood were among the ailments that became part of his routine. No longer having an athletic future, the young consumptive resolved to become a writer. Joining the North African Literary Group, he consorted with other men of letters in the Casbah of Algiers, where they exchanged ideas “over cups of tea garnished with floating mint leaves and pine seeds.” By age twenty he was contributing articles, literary commentary, art criticism, and a long poem of devotion to the Mediterranean Sea, to a local magazine. At this time he entered the University of Algiers. He also entered into marriage with Simone Hié, an attractive but mentally imbalanced girl with a morphine addiction. Camus’ family was thoroughly against this union, but the marriage dissolved within a year. In 1935, Camus graduated with a degree in Philosophy, having written a thesis on ‘Christian Metaphysics and Neo-Platonism’. He had considered continuing his studies and aiming for a career in academia, but a combination of illness and lack of money led him away from this path. He was employed in brief stints as a government clerk, automobile parts salesman, and weatherman. More to his liking was his work as an actor with the Radio-Algiers theatrical company, with whom he travelled across much of Algeria performing adaptations of the works of Dostoevsky. From this exposure Camus gained invaluable experience in the basics of drama. Camus felt happy and relaxed among the people of the theater. He viewed the theater as the highest literary genre, and moreover, saw the stage as not only an art-form but also an apt venue for political expression. As for Camus’ politics, he was first drawn to Communism, and became a member of the Party. Eventually, however, he left, having become disenchanted with the Communist Party’s bureaucratic rigidities. This enabled Camus to devote more energy to his literary vocation. He decided to abandon a manuscript for a novel called A Happy Death, in favor of a similar novel called The Stranger (published 1942), in which a seemingly ordinary man proves to be profoundly alienated, committing a pointless murder on a beach for no given reason other than the “shining sun.” A Happy Death would not see publication until after its author’s death; the book is generally viewed with interest only in the context of it being a precursor to The Stranger, which marked Camus’ emergence as a full-fledged writer. Concurrent with these endeavors in fiction, he earned a living as a journalist for the Alger Républicain, an antifascist newspaper to which he contributed literary criticisms and exposés of social injustices. On the outbreak of WWII Camus tried to join the army, but was rejected for health reasons. So he headed to Paris, where he wrote for the Paris-Soir newspaper. When the Germans took Paris, the newspaper was forced to relocate to unoccupied Lyons – a venue of which Camus was less than fond. Perhaps looking to distract himself, he entered into a second marriage, with Francine Faure, a mathematician from Oran, Algeria. Less than a month into this marriage, Camus’ position at the newspaper was terminated. He and his wife returned to Algeria, where they found teaching jobs in Oran. While visiting France for medical reasons in 1942, Camus was cut off from his wife by the Allied invasion of North Africa and the resulting German occupation of Vichy France. Stranded, he moved to Paris where he befriended Jean-Paul Sartre and Simone de Beauvoir at the premiere of one of Sartre’s plays. Camus then joined the Resistance and its underground newspaper, Combat, becoming Editor in 1943. The paper’s writers included Sartre and other philosophers including Raymond Aron and André Malraux. After the war, Camus would use Oran as the setting for his novel The Plague (1947). This novel’s publication brought him financial success. Amidst murder on an industrial scale in WWII the value of a human life had been dramatically cheapened, and many asked what sort of God could create a world of such carnage. Russia and the United States, who had allied over the Nazi threat, now mistrusted one another to the point of paranoia and mutually assured destruction. The trauma of world war and widespread genocide, and the growing specter of nuclear annihilation, had brought forth a culture of despair. In the face of such far-reaching misery, the concepts of absolute values had dissipated like those hellish clouds of smoke emerging from the chimneys of Treblinka. Camus’ writing on the intrinsic absurdity of life resonated with numerous thinking people, who in their trauma, angst, and cynicism, needed a philosophy set within the earthly realm. For Camus, along with the recent horrors and bleak global prospects, the certainty of death made existence itself a mere ‘charade’, and, consequentially, life into an absurd predicament. He likened human experience to that of the mythical figure Sisyphus, whose punishment by the Greek gods was to roll a boulder up a hill every day, only to invariably have it roll back down so that he has to start again in the morning. The burdens of life in this world are one’s boulder, and all the struggles one encounters have no apparent meaning or purpose since they will be repeated tomorrow. Life is little more than a series of choices, defining moments that dictate how one’s days would progress, without being able to alter the human condition. Sartre and Camus were both prominent proponents of existential choice, which has ensured that their names are inextricably linked in histories of philosophy. However, the two fell out, ostensibly over Sartre’s support of Soviet Russia. 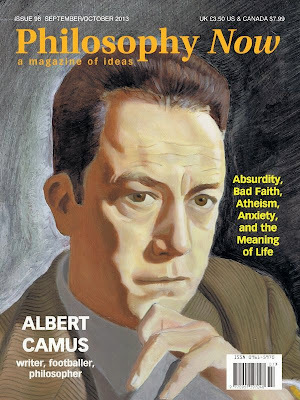 In his magazine Les Temps Modernes, Sartre criticized “Camus the bourgeois.” Whether or not Camus had become bourgeois, he remained committed to his feeling of solidary with oppressed peoples and an antipathy for those who exploited them. There has been much speculation on this break between Sartre and Camus. Some believe the underlying cause was less ideological than personal: Sartre, a conspicuously unattractive man, was envious of the handsome and charming Camus. In October 1957, Camus, then age 44, became the second-youngest writer (next to Rudyard Kipling) ever to receive the Nobel Prize for Literature. Little more than two years later, on January 4, 1960, Camus was being driven back to Paris by his publisher Michel Gallimard when the Facel-Vega HK500 sports car left the road at high speed and careened into a tree. The back seat passengers survived, but the Nobel Laureate died instantly. Among the wreckage was the incomplete manuscript for his book The First Man, and in his pocket the train ticket that he hadn’t used after accepting the lift to Paris. In an instant, Camus had gone from being a generational voice to being a corpse on the side of a highway. One wonders what meaning can be derived from such a sudden change. Or perhaps life is simply absurd. Use the blog's search engine for more on Camus.